Guest Article – What can be your core competency in today’s world? A lot has been written about core competency in innumerable management books. But what does it really mean? Its only when companies understand the real meaning of core competency in today’s context, can they truly work on building a ‘differentiator’ that gives them an edge over others in the market. The notion of core competency has evolved with changing times and market dynamics will continue to do so. For instance, in the times of Sony Walkman, the term ‘core competency’ was associated with deep technical innovation, and at other times,with just the sheer size of assets and deep pockets of a company, since they were crucial in the formation of a large conglomerate. So what can be the core competency of an organization in today’s digital economy, where it only takes a handful of smart guys with minimal funds to bring the next disruptive innovation and consumers adopt it in millions, thanks to the internet? Can it be the capability of your R&D labs and patents you own? Yes, in some sectors like pharma, patents go a long way in demonstrating a company’s prowess, but not in the industry a general. They can be used to protect the product and manage market leadership only until the next innovation comes around. At the same time, it is not the patent that can be your core competence, as customers buy products, NOT patents. Patents can be circumvented and the internet is enabling even core R&D projects to be outsourced, to tap into the best talent sitting somewhere in the world. Your competitors are as equipped to exploit these as you are and it’s no one’s core competency. So, can your marketing reach be the core competency? There was a time in the 80s and 90s, when reach and international expansion was a major differentiator between market leaders and followers. Establishing this reach required deep pockets. Fast forward to 2010s, and the situation is completely different. Thanks to the B2B/B2C eCommerce portals, a small time manufacturer from a non-descript town now sells goods worldwide, without having to invest on building a sales force! Similarly, a SAAS company can rope in tens of thousands of customers without doing a physical handshake. In fact, in the current digital era, a large pool of sales and marketing staff is more of a liability than an asset, and if your business is largely dependent upon it, you should be worried. In that case, can your physical assets be your competency? Probably yes, in the times of Kodak, that didn’t pursue the digital camera business after having invented it, due to its deep investments in film-making units. We all know the remaining story! If you are in the retail business and have a corner shop at a prime location, this differentiation of yours (which was once a huge advantage) is also fast turning into a liability, as competitors selling online are in a position to sell same goods substantially cheaper because of steep cost savings (no rentals and infrastructure cost) in the internet world. They simply stock the goods in a remote warehouse and ship as and when they receive an order online. That’s not all. National borders and geographies are no limit for them, and the whole world is their market. In such a scenario, a“prime location” certainly cannot be considered a core competency. 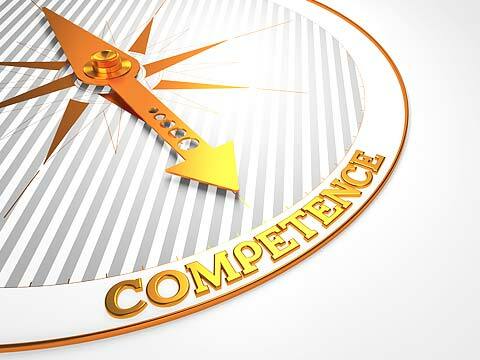 So, what really is ‘core competency’? The classical definition of core competency has been “a capability” which differentiates your company from competitors and something which can’t be replicated easily by others. Thanks to “collective intelligence and shared economy” capabilities facilitated by the internet, there is nothing which can’t be replicated, improvised and even disrupted very quickly. Any conventional core competency can only give you a temporary advantage, and unfortunately, for most businesses the time span of “temporary” has reduced from a few decades to only a few years at the most. Given the fact, the only core competency which can help you reach and sustain a position of market dominance in this hyper-innovative world is an organization-wide culture of nimble experiments, fast learning and rapid innovation. Even Steve Jobs, the late Founder & CEO of Apple, had once said, ““Innovation distinguishes between a leader and a follower”…You can choose which of the two you want to be! The writer of this article is Suresh Kabra, a leadership and business development professional with a proven track record in driving new initiatives. Kabra is a technopreneur, and a MIT- Sloan and BITS Pilani alumni. He has a patent on flexible display design. This article was originally published in EntrepreneurIndia. Next Next post: Guest Post – I initiate… therefore I am ! !